Just when I thought everyone was swearing off wallpaper for good, the blogosphere and interior design magazines are making us all run out to our local Sherwin Williams to sift through the pages of numerous wallpaper books in search of the perfect pattern. This time around, we don't have to worry about A. spending a lot of money, or B. hours of frustration over wallpapering an entire room, because the trend is only wallpapering one wall. This seems a bit silly, but it allows you to make a contrast between your paint color by choosing something to decorate one wall with. It adds of pop of flair to a simple room. Here are a few of the spaces that use this idea well. 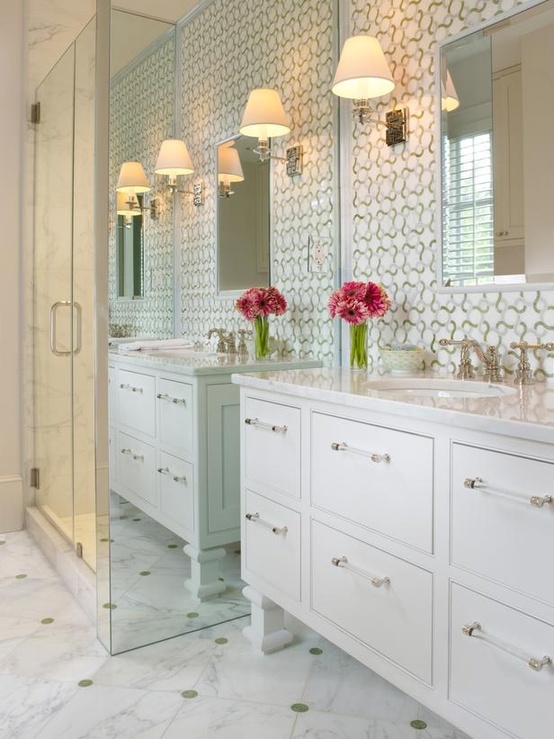 i love accent walls & you picked some great designs!! I can't resist a good accent wall! I definitely want to experiment with wallpaper in my next place. I need an accent wall! 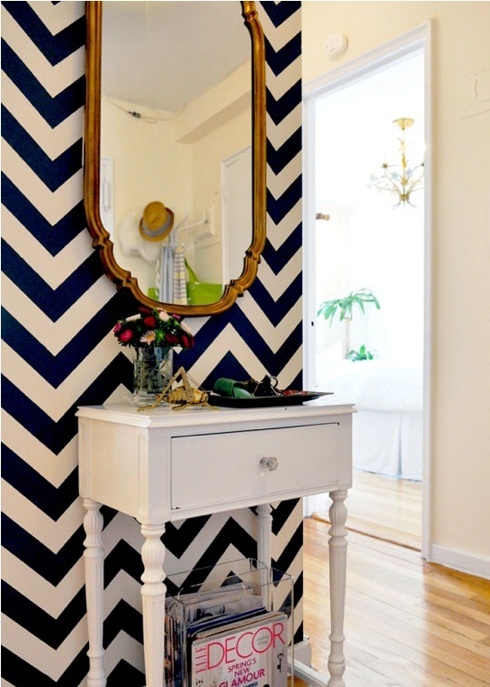 The navy and white chevron is my fave. . . I love the new one-walled wallpaper trend! I can't wait to own my own home so I can do these sorts of things! Hey Jenn! Thanks for stopping by my blog! :) Yours is adorable, love it! 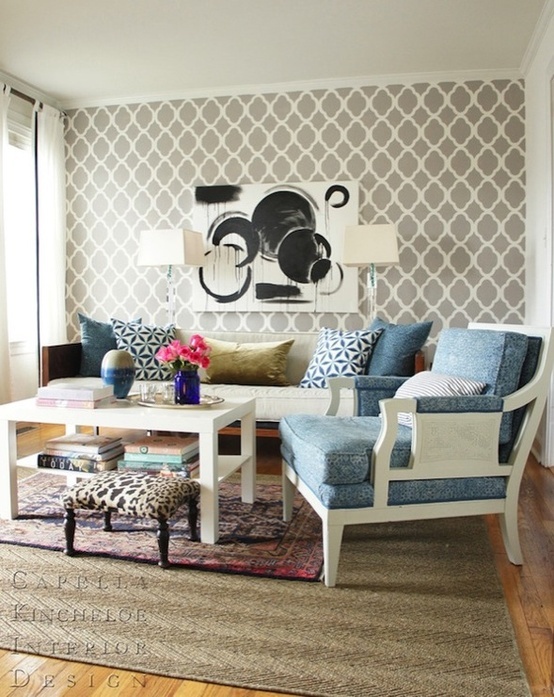 I just stenciled a wall in my dining room really similar to the first image! A bit of a pain but it turned out so well!